The Couples Retreat Illinois couples have COME TO relied upon for experienced help with their marriage. Dr. Michael McNulty with over a quarter century helping couples heal. "I would trust him to work well with anyone I love." Dr. Michael McNulty is one of the earliest certified Gottman Couples therapists in the nation. He blends this science-based couples work with his extensive training in psychoanalytically informed psychotherapy. Master trainer and workshop leader. Personally trained by Drs. John and Julie Gottman. Dr. McNulty conducts trainings and acts as a consultant to the Gottman Institute's professional development program. School of Social Service Administration and The Institute for Clinical Social Work. Lecturer and Adjunct Faculty member teaching Masters students. Taught in the professional development program for 10 years. "Dr. McNulty is that rare combination of gifted therapist and teacher who possess profound wisdom, deep compassion, and brilliant skill. He is one of the best clinicians we've had the privilege to know...He is a gift to us and hopefully will be to you, too." - Drs. John & Julie Gottman. Why a Couples Retreat Illinois? There are hundreds of options for couples retreats across the country. Most are group psychoeducational retreats. Some offer a beautiful location and luxury accommodations. Many offer marriages a "couples getaway Chicago" experience. Some are faith-based or focused solely on improving your communication. Ours are different. Couples Therapy Inc. offers marriage retreats which are private therapeutic intensives. Pick a Couples Retreats Chicago location if you're in relationship distress. Or want to dramatically improve how you are relating now. While every marriage is different and no retreat can promise guaranteed results, these retreats offer you a step-by-step understanding of what types of science-based interventions are most effective and impactful. A couple that is committed to the process can leave with a fundamental understanding of the particular challenges their marriages face, what makes some marital problems "unresolvable," and how to work with true values and lifestyle differences. Our marriage counseling retreats help one couple at a time to reconnect, improve their communication and rebuild trust. Dr. McNulty has been helping Chicago couples for a quarter century. We're the Couples Retreat Illinois relies upon by couples of all kinds: straight and gay couples, those in long-term relationships, newly engaged or newlywed couples. Even couples facing the crisis of divorce. Dr. McNulty is a Master Couples Therapist helping you to break down barriers, and open up to the heart of the issue. He knows how to help Illinois couples address long standing areas of conflict, infidelity, divorce threats, and complications such as managing early trauma histories, mental health issues, or extended family struggles that affect the partnership. He sees couples from around the country and the world. Dr. McNulty is one of 7 Master Therapists at Couples Therapy Inc. A gifted member of Chicago's therapeutic community. Dr. McNulty has received five Fulbright Senior Specialist grants for his international work in Sri Lanka. He has made presentations on teaching The Gottman Method at two Annual Gottman Conferences, and an event in the Chicago area with John and Julie Gottman as commentators. John Gottman has also referred to him as: "a highly sensitive, intelligent, and intuitive clinician...His work demonstrates the kind of care and deep understanding people in other cultures that is unique in my experience. " This is the Couples Retreat Illinois relies upon. A great option is the Harvey House Bed & Breakfast. 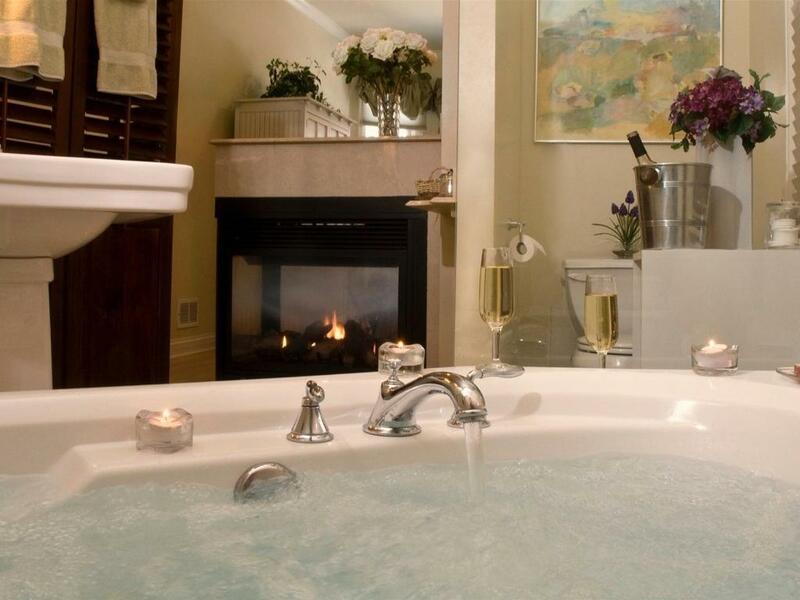 This ultimate romantic B and B is the perfect location for those wanting access to Chicago and Oak Park! Close by the Inn are incredible dining experiences, charming shops, and galleries. Harvey House Bed & Breakfast is located in Oak Park, Illinois, just 8 miles from the heart of downtown Chicago. Oak Park offers a diversity long gone from the average city street. The "EL" train is within 3 blocks, and departs every 8 minutes for Chicago. Harvey House is your place for relaxation and comfort with an attention to luxurious detail. A perfect place to retire to after a day of intensive counseling. Are you looking for the “best” weekend couples retreat in the state of Illinois? You can find it yourself. Sort out whether you want a “group” or “private” couples retreat. Figuring out the best couples retreat for you and your relationship is based on a few simple guiding criteria. You don’t need someone else to “rank” your therapist or facilitator in a group or private individual couples therapy intensive. You can do it yourself. Private Couples Retreat Illinois or Group Retreat in Illinois: What's the difference? Group retreats are inexpensive compared with private one-to-one couples retreats. Look for a Group Couples Retreat in the Midwest that teaches basic skills or is just for fun. Intensive Couples Retreats are more serious business. These Midwest Couples Retreats are for couples who want to enhance their intimate relationship or really turn around serious marital issues. Can be a psycho-educational, fun, physical, yoga, spiritual or religious retreat. The group experience might contain 3-300 couples or more held in an office, hotel or auditorium. Typically they offers psycho-educational materials to take home and study. Usually $700-$1000 for a 12-16 hour weekend retreat. Run by a licensed professional in behavioral healthcare. Or should be. Finding the right Couples Therapy Retreat Illinois by asking five simple questions. Who offers these couples retreats in Illinois? What’s your philosophy? 1. Who offers this Couples Retreat in Illinois? It’s a basic question. Who are you? Who runs this company? Remarkable on some websites, that's hard to determine. Couples Therapy Inc. is a group of skilled couples therapists offering couples retreats across the USA. Our practice is proudly composed of 23 experienced couples therapists licensed as psychologists, marriage and family therapists, clinical social workers, and mental health counselors (or trainees). We have over 558 collective years conducting post-masters psychotherapy here in the USA. We specialize in science-based or evidence-based treatment to help couples in intensive couples retreats. And our two clinicians in the Midwest offer both private therapy retreats and group couples retreats. Look for a licensed therapist with the most advanced training in these methods that you can find, or, ideally, someone with experience in both. 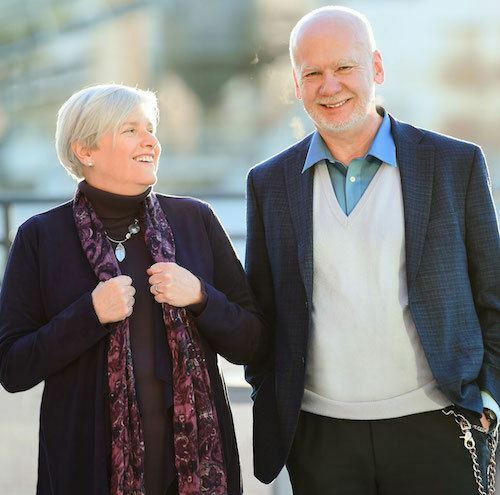 Dr. Kathy McMahon, a clinical psychologist with over 30 years of experience, owns and runs Couples Therapy Inc with her husband and fellow couples therapist Daniel Dashnaw, MS, MA, MFT. Together they began Couples Therapy Inc. with the goal of pulling together the best couples therapists they could find to conduct easy-to-access couples therapy anywhere on the globe. And we think we’ve done a darn good job, especially for those of you who live in the Midwest. 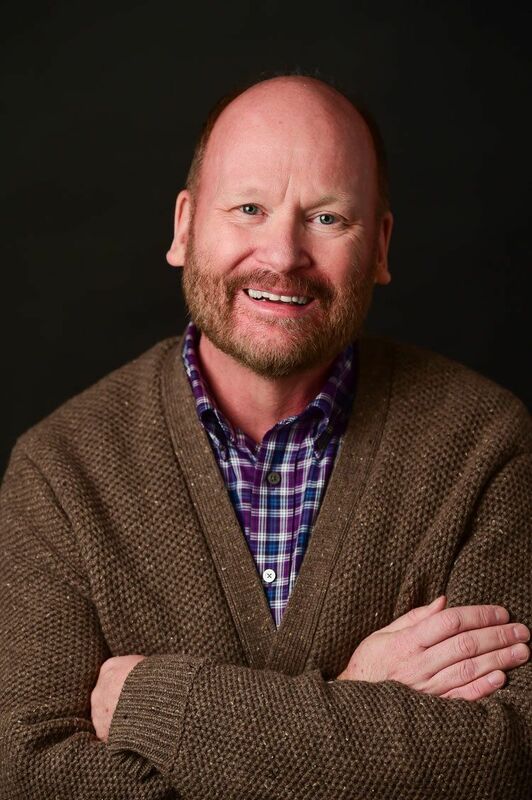 We offer two wonderful choices of skilled couples therapists, Dr. Michael McNulty in Chicago, (practicing in both Highland Park and Evanston, IL) and Dr. Doug Burford in Overland Park, Kansas, right in the Kansas City, Missouri metro area. (Read more about Dr. Burford (HERE). We’re proud to talk about our highly-skilled clinician running a couples retreat in Illinois in just a moment, but first let’s talk about our philosophy about these Couples Therapy Retreats offered in Chicago and Kansas City Missouri Metro Area. We see couples of every age, ability, sexual orientation, income, race, nationality, profession, religion, abilities, and sexual orientations. What’s the therapist’s name and credentials running these Intensive Couples Therapy Retreats? That’s from two of the most recognized American psychological researchers and clinicians who have done extensive work over four decades on divorce prediction and marital stability. Dr. McNulty has won five Fulbright Senior Specialist grants for his international humanitarian work in Sri Lanka helping train local professionals managing trauma. He studied both "self psychology" and qualitative research in his graduate studies before finding the evidence-based John Gottman model of Couples Therapy. He works from an attachment framework, carefully helping couples heal the wounds of betrayals, early trauma, affairs, and personality problems. He’s one of the earliest certified Gottman Method Couples Therapists alive today and has gone on to train literally hundreds of graduate level clinicians in this powerfully-effective method of helping couples. Dr. McNulty offers his Midwest couples retreats in the Greater Chicago, Illinois area in both Evanston, and Highland Park. The Couples Retreat in Chicago begin with an “Assessment” of your Marital Relationship. Our assessment instrument that we call “The BIG BIG Book” has over 800 questions in it. It will take you 2-3 hours of work to complete. We want a thorough understanding of your relationship and its challenges. Each of you complete it online, separately. It’s then scored, examined and your every word is interpreted several weeks before your intensive couples retreat, so that your couples counselor has the chance to understand your goals and needs more thoroughly. We make it convenient for you, as each of you complete it online in the privacy of your home or office. Then, in the couples intensive retreat in Illinois we continue this “State of the Union” assessment in person, meeting first with both of you to gather a relationship oral history and problem profile. That’s enough for the two hours on Friday night. The following day, we use a clinically-structured “disagreement” that we capture on videotape and analyze. We use this tape to determine the presence of “The Four Horsemen” and begin to tailor our treatment plan. All of it is a part of a science-based protocol designed by the Gottman Institute itself. When therapy begins, it is highly focused, clinically relevant, and “you informed” work. You know what we’ll be working on and exactly why. 4. Who should attend these Marriage Retreats in the Midwest? This intensive couples therapy is for those who are serious about change. Our couples are not only highly motivated but are ready to bring concrete action to learning what’s wrong in their relationship and how to fix it. And they trust an organized, research-driven, science-based approach with decades of experience and demonstrated results behind it. They wanted a concentrated couples therapy retreat with the most experienced couples therapist they can find. Our practice of skilled, experienced couples therapists offer marriage retreats, couples retreats, and online couples therapy across the Midwest, the USA, and internationally too. Couples attend who already have a strong, healthy relationship, and couples who have been impacted by relationship damage such as affairs, poor fighting skills, resentments, long-standing anger or painful regrettable incidents. This intensive couples therapy is not appropriate for couples dealing with addiction, domestic violence, or other ongoing psychiatric issues that require hospitalization, psychiatric medical care, or weekly work. In those situations, we recommend seeking a clinical assessment and possibly ongoing counseling with Dr. McNulty, a Gottman-trained therapist, in his weekly psychotherapy practice. You are booking your couples therapist for 2 hours on Friday night, and 7 hours for the next two days. And scoring the BIG BIG Book takes 2.5 additional clinical hours. That’s 18.5 hours. Our retreats range in price from $3000 to $5000 (the owner, Dr. K charges more…) for 18.5 hours of clinical time, depending on the skills, credentials, and location of the therapist. Dr. McNulty, as one of our most respected therapists, charges $5000. The Art and Science of Love is a world-renowned weekend workshop for couples. It was designed by Drs. John and Julie Gottman, renounced researchers on couples relationship dynamics. Led by Senior Master Trainer Michael McNulty from the Gottman Institute, come and learn why couples worldwide have benefited from the Gottman Method over the last 40 years. Has produced positive results for 94% of those who attend. The Art and Science of Love group workshop gives you new insights and research-based skills that focus on dramatically improving the intimacy and friendship in your relationship and help you manage conflict in a healthy, positive way. John and Julie Gottman have designed this curriculum from their 40 years of research studying more than 3,000 couples. Dr. McNulty is an experienced trainer and brings The Art and Science of Love to Midwest couples. It’s developed from research on what actually works in relationships that are happy and stable, not naïve notions or unreliable theories of what a relationship should be. On day one, you will learn how to build friendship in your relationship and express feelings of respect and affection. On day two, you will learn how to manage conflict and communicate effectively. 94% of couples report positive results according to the Gottman Institute’s research on those who attend, based on exit surveys. If you’ve already attended a Level One workshop in the Art and Science of Love, you can refresh your skills and deepen your understanding of the Gottman Method by attending The Art and Science of Love 2. It’s an advanced workshop for couples. No public discussion or disclosure is involved. All work is done as a couple and Dr. McNulty and other Gottman-trained therapists are available to support you one-on-one during exercises. This educational workshop may not be appropriate for couples dealing with addiction, domestic violence, or other serious relationship issues. Again, in those situations, we recommend seeking counseling with Dr. McNulty, Gottman-trained therapist in his Highland Park or Evanston Il office. I'm not in Illinois. Do you hold a couples retreat near me? Most likely. We hold our retreats within 300 miles of most major cities in the USA.